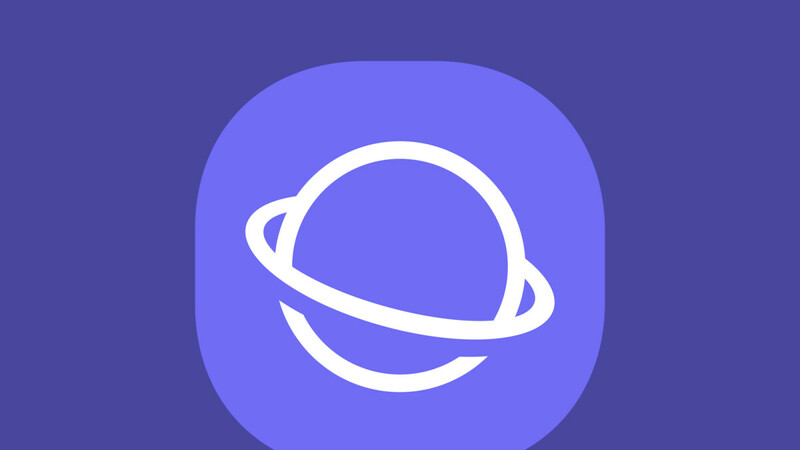 Samsung's internet browser has passed an important and coveted milestone on the Google Play Store – over 1 billion installs. This now-impressive figure has more than doubled in the span of just one year, albeit in large part thanks to Samsung Internet coming pre-installed Samsung devices, which is boosting the numbers exponentially. Despite this, Samsung Internet has more installs than both Firefox and Opera combined, and though it's trailing behind Chrome, it's still among the most popular Android browsers. Since Google Chrome comes pre-loaded on pretty much every Android phone, it's near impossible to overtake. Samsung Internet is actually a very well-rounded browser, quick, with many features that can't be found anywhere else, including plugins support and iris authentication on websites. The browser also has a smart dark mode, which turns light backgrounds black or dark-gray, all the while leaving all other colors as they are. What's more, Samsung is committed to regularly updating the browser and adding new features. If you haven't checked it out already, now may be a good time. Congrats! To Samsung. The Samsung internet is getting better and smoother. There really isn't much reason to use anything else. You can bring all your favorites from Chrome, it supports ad block, and works on all (most) android phones. Hope to see Samsung to further update this browser in the near future. Same. And then it's so easy to watch things full screen if you want to as well. No it is not as fast as chrome because it is FASTER THAN Chrome. I rely on Samsung internet more than I do chrome and firefox. I always use Samsung internet, I love it! This is one of the first apps I installed on my Huawei Mate 20 Pro. Samsung Internet is by far the most well-rounded Android Web browser, IMO. The Ad Blocking, Tracker Blocking, Video Assistant as well as Smart Dark Mode make it standout amongst the others. Don't get me wrong, I still feel Google Chrome is a beast at loading pages fast and being a tad bit more fluid overall, but the extra functionality in Samsung Internet wins me over. If Chrome had Ad Blocking/Ad Whitelisting, I'd gladly use it over Samsung Internet. Deserves it! It is very good. Hands down the best Android overall browser. It lacks a decent dark mode to have it all, but I'm sure Samsung will release one very soon. Samsung Internet has a good dark mode that even darkens websites. Three dot menu -> turn on night mode. I know about it and it's bad (when compared to the one in Edge), because it also changes the websites and dims the menus which makes it impossible to use during the day. LoL, it doesn't change websites. If you would have used it you would have known this. It makes the white background grey, so it changes the websites. You don't make sense, that's what a dark mode is suppose to do, change the blinding white background. That doesn't mean the site doesn't remain the same it was before. A dark mode should change the color of the interface - buttons, bars, borders, menus (btw, the menu color is the same, no matter what mode you use), it shouldn't change the content - the sites should look the same, the pictures, movies, documents etc. That's what a dark or black theme does. You are confusing stuff. And changing those elements in a browser is not important at all when thta's where anybody spends the least amount of time. Samsung's Night Mode is great quality wise and sites look perfect with this mode on, that's why it's my favorite night time browser. Dude, PhoneArena has white background with black text; when you write a message, there’s a yellow background; with SB everything is different. Edge also has a dark theme but the sites are exactly as they are intent to be. Both look nice and I have no complaints. Its what I have in place of Chrome on any android I have. I find the content blocker on Samsung Internet better than a system wide blocker that youd have to use with Chrome.